Chinese New Year is approaching and people across the GTA are looking forward to celebrating the occasion with friends and family. We will also be saying goodbye to the Year of the Rooster, which was another successful year for Living Realty. Among the many highlights of the last year, we were proud to open our new branch in downtown Toronto at Toronto’s most iconic intersection: Yonge and Bloor. Those born in the year of the Dog (1910, 1922, 1934, 1946, 1958, 1970, 1982, 1994, 2006, 2018) are said to bear similar traits to the animal. That means they are generally loyal and sincere – traits that make them excellent friends, companions and workers. Decisive in their actions, they are not afraid of any difficulties that may arise in their life, which can help them to achieve success. Lucky numbers for people born in the year of the dog are 3, 4 and 9, while the lucky colours are green, red and purple. Similar to other signs of the Chinese Zodiac, there are four different types of dog attributed to the calendar. 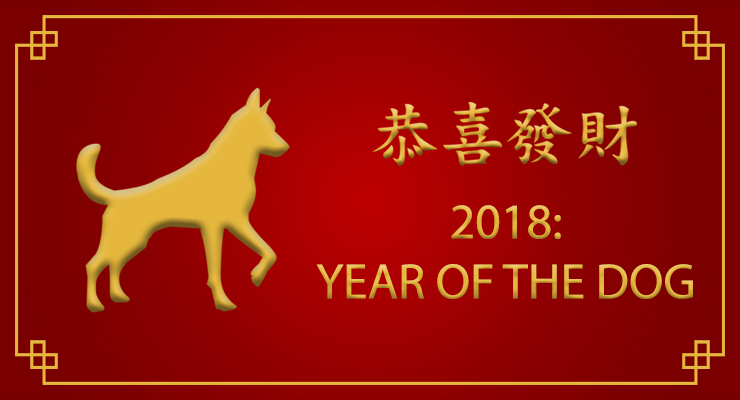 2018 is the year of the Earth Dog which last occurred in 1958. Those born in the year of an Earth Dog tend to be very faithful, have excellent discipline and a very principled. As a consequence, they are often excellent workers, taking great care with their work and doing their best to finish jobs that they start. Perhaps this is the reason that Earth Dogs also have good luck when it comes to making money. One famous Canadian born in the year of the Earth Dog is Terry Fox (born July 28, 1958), who exemplified that trait of determination and spirit in his Marathon of Hope in 1980. Other notable people born in the Year of the Earth Dog include music superstars Madonna and Michael Jackson, who were both born in 1958.